Bilstein is known for their quality shock absorbers and it has been a leading name in the industry for car parts for decades. When it comes to shock absorbers and suspension springs Bilstein makes sure they deliver high quality performance and optimal driving comfort. The innovations this company has developed over the years are still being applied today and Bilstein is especially well known for its excellent gas pressure shock absorber. Even nowadays Bilstein continues to develop products that affect both the regular car market as well as high end costumers in the Formula 1 and Le Mans 24-hour race circuits. Suspension systems have been used ever since the early years of the automobile, even though you need not expect a lot from the first conventional shock absorbers that were fitted to the first cars. It was until the early ’50’s of the last century that Bilstein realised that there is a whole big market for high quality shock absorbers that could take away the inconveniences of vibrations and shocks in the increasing rapid development of cars in general. That this would also contribute to road safety through better road handling and driving characteristics of cars was an additional advantage. Even today, the car industry is still developing and trying to make progress in terms of performance and safety through continuous component innovation. By combining the knowledge and expertise of other specialists in the industry, Bilstein hopes to continue to make an important contribution in the future. Since the late ‘80s, Bilstein has setup a partnership with ThyssenKrupp Technologies AG, but they also still develop products with other manufacturers within their own segment. The car industry is not standing still and in view of the developments in recent years, this is not to be expected in the near future. The same applies to the company Bilstein and the other parts manufacturers so also in the future there is still a lot to expect. AP Parts is a fairly young, innovative company which offers a wide range of affordable and quality products. The company tries to focus on online sales with a very wide range of products for both regular car parts as well as more niche tuning and styling parts. The award winning AP Parts BV, winner of the Dutch National Business Success Award in 2015, can put their products on the market for very cheap and competitive prices as they obtain their products worldwide straight from the producers. This allows them to be both competitive and deliver only quality products to the consumer. This strategy made them become the leading yet still innovative company for all your parts and needs on the automotive market. For any company nowadays, big and small, it is important to be visible, quickly accessible through the internet and easy to use. People will always check the online channels to get informed about product satisfaction, quality and not in the least important, competitive pricing. There is nothing more convenient to check online what parts to get to repair or modify your vehicle and while you are at it, check if other costumers have been satisfied with their purchase. There is no easier way to also check the pricing of products and since the internet has made our world so much bigger than just the local Car Shop or a tip by one of their employers. AP Parts as a young, successful company, is very aware of this development in the industry and has managed to use this to their advantage. The need for client orientation has concluded in an overall concept which you can find on the website of the AP Parts company. Through the need of innovation they don’t only offer to buy their products online but also the installation through fixed prices. This concept solves the problem of costumers bringing their own parts to professional garages who usually have their own preferred brands to work with. It is just one of the many examples that show the efficiency and will to innovate by a company that is flexible enough to move with the changes in the industry and is willing to implement these into their business. The suspension of a car is meant to catch bumps and unevenness in the road while driving to assure the cars good handling. Components that make up the suspension and that therefore jointly ensure a good suspension are the springs, the dampers and the stabilization rod. Every road, anywhere in the world, has bumps, holes and potholes. When a car does not have a good suspension, you are ensured to have your car bouncing left and right on the road because the bumps are then caught by the carroserie of the car. This makes for very unpleasant driving behavior and also inconvenient situations because the vehicle can no longer be driven correctly. One of the manufacturers of suspensions and related parts is Eibach. You can go to Eibach for both standard parts and performance enhancement and aesthetic parts sets. 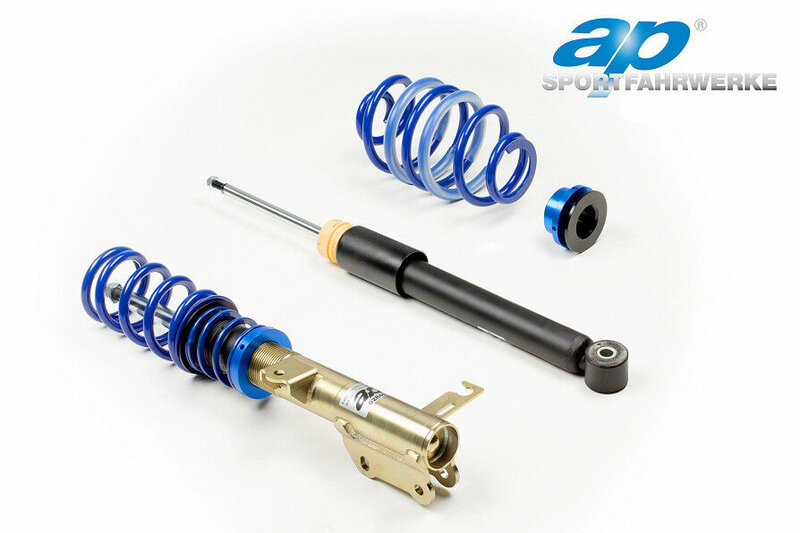 Springs and shock absorbers from Eibach are quality products and are divided into different types, namely the lowering springs, the sport line springs and the pro-lift-kit springs. Through decades of experience Eibach has optimized their products to ensure the lowest weight and height, resulting in great block stability, dynamic durability and maximum travel. Eibach does not only produce their products for the regular car market but is also a big player in the professional race scene and therefor developed their complete Eibach Race Spring System. This system (ERS) is nowadays seen as world’s most prominent and superior Race Spring system. Have a look at the Eibach Sportline and Pro Kit Lowering Springs at Extreme-Carstyling: Great prices, service and free shipment! The importance of see and been seen is of all times. This feeling is especially felt among young people and with all the modern day possibilities its easier than ever to show yourself to the world and those who share the same interest as you. Among car enthusiasts it’s no different and they spend many, many hours working on their beloved vehicles to make them look beautiful but most of all special and unique. Styling and tuning of cars is a way of live, a time-consuming and above all a very expensive way of live! When someone is thinking about a workout for his car there are a thousand parts to work on and even more specialised shops to help you out. Decoration and boosting performance has been around since forever we make cars but tuning took a flight in Japan during the 1980’s when young people saw the possibility of using different spoilers from different brands, topping up the engines and adjusting the wheel suspension. Since they are using affordable cars for this, they saved money for buying the car parts that increased both the looks and performance, allowing them to compete with the more expensive sports cars driven by the rich and famous. Although cars and their performance have played a role in films for many decades , on the release of the first part of The Fast And The Furious in 2001, according to many, car tuning really took off. It’s necessary to make a distinction between Tuning and Styling. For example, tuning aims to increase the car’s ability by adjusting the engine and other components that affect its performance. By styling or pimping a car, however, you focus more on the appearance of the vehicle by using stickers, special paint, high end car audio systems or In Car Entertainment (ICE) and the so-called body kits. Nowadays, with shops like Extreme-Carstyling.co.uk, purchasing car styling and tuning parts has never been easier! As we mentioned before, a big and important aspect of all this work on the their cars is for the purpose of showing other and the social aspect of belonging to the group. Next to the numerous forums and websites the community excels in organising car and tuning events. These events, both small and big, often attract thousands of car enthusiasts sharing their common love for cars. The bigger events are used by the bigger car and tuning companies to show their latest development and products and can attract even up to tens of thousands of visitor from all over the world. An example of these big tuner shows are the Hot Import Nights in the USA, an event that travels to various places, staying for 2 days at a time where you can gaze at the new models, drag racing, car shows and music at local race tracks. Also in Europe there are big events like the Tuning World Bodensee in Germany but for the best tuner show you just must go to the Tokyo Auto Show where you can find all the Japanese models, the latest technologies and take a test drive while you at it! Bikers Cafe motorcycle accessories online based in the UK and serving the motorcycle world where you can buy online tuning and styling accessories and parts for your motorbike. We also supply security products such as motorcycle locks, chains, alarms and ground anchors. Looking for motorcycle accessories for your Honda, Suzuki, Aprillia, Ducati, BMW, Kawasaki, Triumph, Yamaha, BSA and most other motorcycles, including sportbike touring and superbikes parts ..
We supply thousands of accessories and parts for most bikes, as we can’t list all of the motorbike spares we supply you can use our parts finder quote form found in our online store. We constantly add and update our product lists found in the pages of our online motorcycle accessory and parts store.